Print the most patriotic promotions you can find when you send out Fourth of July Freedom Blue Invitations to everyone on your guest list. 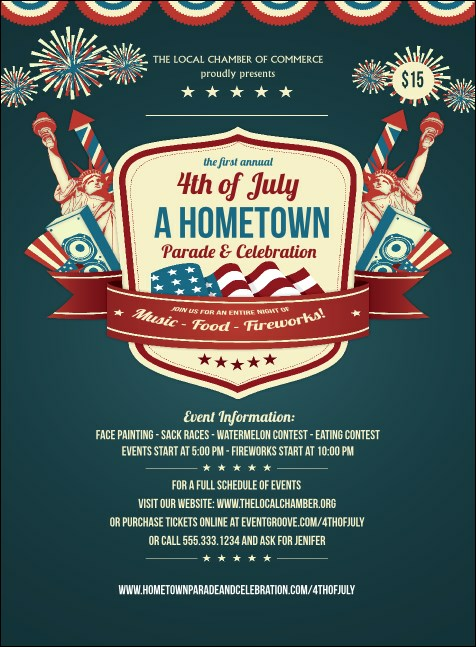 Advertise your Independence Day event in advance with Invitation templates that feature a red, white and blue design that’s full of American pride and up to sixteen lines of text for all your holiday event details. TicketPrinting.com helps you celebrate the freedom to print.